"What is important in life!" Simon Harris has opened up about the effect becoming a dad has had on him. The Health Minister and his wife Caoimhe welcomed their first child, a baby girl they named Saoirse, in January. He posted a new photo of his daughter to Instagram this morning and told followers that having a baby had caused him to change his perspective on the world. "3 weeks old today. What is important in life! !," he wrote. "Changes your perspective in so many ways. "Everything I do I do wanting to make sure she grows up in a country that will care for her and all our children and give them every chance." 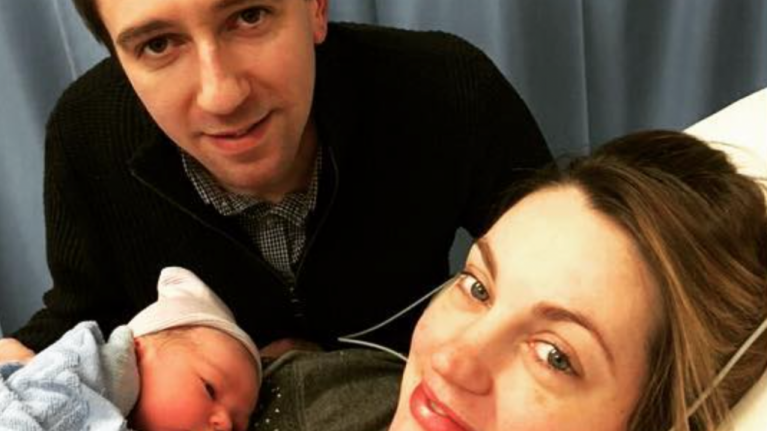 Harris announced that he and Caoimhe, a cardiac nurse at Our Lady's Children's Hospital in Crumlin, had become parents in a post to Instagram last month. "Caoimhe and I are delighted to welcome our beautiful little daughter into the world. "So happy. Who knew you could be so bowled over and blown away." The Wicklow TD is facing increased pressure as nurses across the country continue to strike. Today is the third day of industrial action by INMO members, who are seeking better pay and working conditions. Harris warned today that hospitals will become "dangerous" if the nurses' strike action goes on. The government has said it is willing to negotiate on hospital conditions but that it will not discuss nurses' pay.